Because when you approach the mobile phone to your head (contravening the instructions of the mobile phone manufacturers) and there is biological damage to the DNA, SkudoWave significantly reduces it. Every disease originates from biological damage, and for a real prevention it is essential to act on biological damage (which, according to the IARC, is SURE). According to the opinion of ‘International Agency for Cancer Research (IARC), indeed, the biological damaging effect of the radio frequency to the cell is SURE. 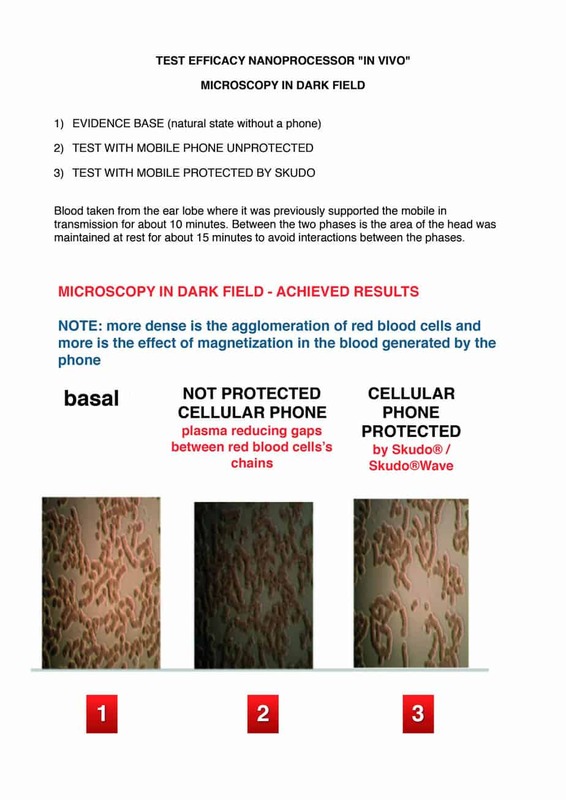 Prof. Kurt Straif (IARC), said about the radio frequency and electromagnetic fields emitted also by mobile phones “alter cerebral blood flow but there are also alteration effects on DNA“.